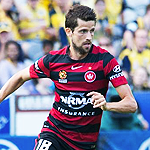 Team Honours: Scored his first goal for the Wanderers against Adelaide United in Round 2 of Season 2015/16. Description: A journeyman midfielder who has criss-crossed the globe in search of permanence, he came out of the Barcelona youth system before stints in Poland, Georgia & New Zealand. didn't accept a renewal. Went to Cyprus 2nd div or something ridiculous. Then went to Perth and did nothing. 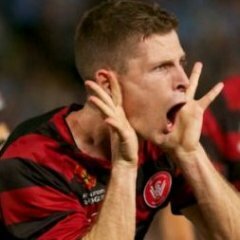 Andreu was good for us for 1 season, but hard to have any long term attachment to these kinds of players that up and go after a year. Yes but I have his name on a shirt! Half a season. 2/3 at best. But what a half/2/3 season it was. Someone post the gif of that turn he did. Yep by that little Adelaide s*** Isaias. And f***ing Gillett let Isaias get away with it.